Every relationship is always special and meaningful. But the challenge is heavier for every Filipino and American dating long distance. Love and trust should be present between two Filipino American hearts, one Filipino heart and the other is an American heart, separated by distance and oceans apart. Filipino online dating is one situation of a long distance love affair involving most often a Filipina woman and an American man. Most of Filipino American dating relationships lean towards a more serious commitment. That is, an American man has the intention to find a Filipina woman to marry. Usually, the lucky ones will end in real marriages and a good life together. Oftentimes, Filipino online dating relationships can be so overwhelming when two Filipino hearts are faced with too many challenges and setbacks and cannot handle them alone, specifically since they are not spending their daily lives together. Some tips could be helpful for a Filipina dating an American man and are both oceans apart from each other, or living in different continents for that matter. 1) Learn to be honest to each other. Remember, honesty is still the best policy. Much more in an online dating long distance. 2) Show respect and trust for each other. Long distance romance needs a lot more strength from two Filipino American hearts, and showing support and trust would help to keep the love alive. This means that faithfulness is a very strong factor to have an enduring Filipino long distance romance. 3) Listen to each other in a caring manner. Show empathy. Also, voluntarily offer information and share your thoughts and feelings openly with each other. Make your questions emotionally intimate and this will automatically strengthen the bond between each other, just showing how much you mean to each one would really come a long way. 4) Pick up the phone and talk to your Filipino or American partner at least once a day, even if it is for a few minutes. Hearing each other's voice everyday is the best thing for the relationship. You can talk openly about your feelings for each other, or if there are any concerns or worries about the long distance relationship. 5) There are also free greeting ecards you can send for any occasion, even for no occasion, just surprise your Filipino or American partner with it. It could very well make his or her day! 6) Letters via "snail mail" could be very romantic and also a keepsake memento for times when you are both lonely and missing each other. 7) Of course, you should make use of high technology communication services available, such as emails, text messages, chat, web cam and so on. It could absolutely come as a surprise and add a bit of spice to your Filipino online dating relationship. It would in fact, help keep the Filipino American long distance relationship together. Although, misunderstandings and hard feelings do happen between two Filipino American hearts living far apart from each other, it is essential to maintain a sense of humor with your partner. Understanding your partner and knowing each other well should nurture a healthy relationship. In the long run, you will get to know each other more and more. Loving your Filipino or American partner means you have to understand and accept him or her for all the strengths and weaknesses as well as all the positive and negative qualities. Interested to meet a single Filipina? 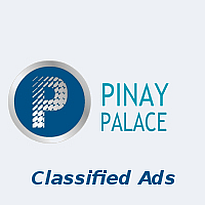 Join Philippines dating site and meet single Filipino women for Philippine dating. You can also meet Rich Singles worldwide or in your city. Good luck in your search for love!